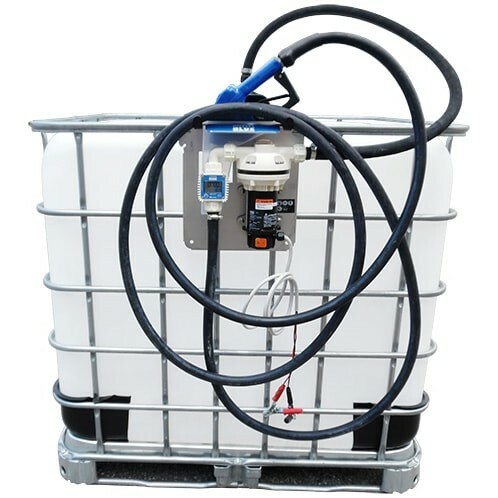 NTO 330 Gallon DEF IBC Tote Tank, part# DEF330-120VOLT, is a portable transport tank used for transferring diesel exhaust fluid. This DEF tank with 120-volt pump is commonly used in industrial, agriculture, and transportation industries. It is a freestanding tank that is often placed in the bed of pickup trucks and trailers. It's constructed with seamless polyethylene and stainless steel for maximum durability that's resistant to cracks, chips, and dents. It's UN / DOT approved with a 31HA1/Y rating. 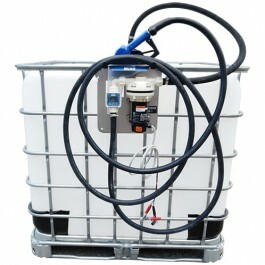 This DEF tank system is designed to be compatible with DEF urea fluid. It's used to maintain DEF purity and minimize crystallization problems due to evaporation and pump cavitation.